The event is managed and organized by Finger Lakes STPR® Motorsports; sanctioned and insured by the Sports Car Club of America and hosted by the Finger Lakes Region, SCCA, the event became an SCCA RallySprint in 2016. Launched in 2011 as the Wellsboro Winter Rally, the event was a Regional stage/performance rally, part of the Rally America Eastern Championship. 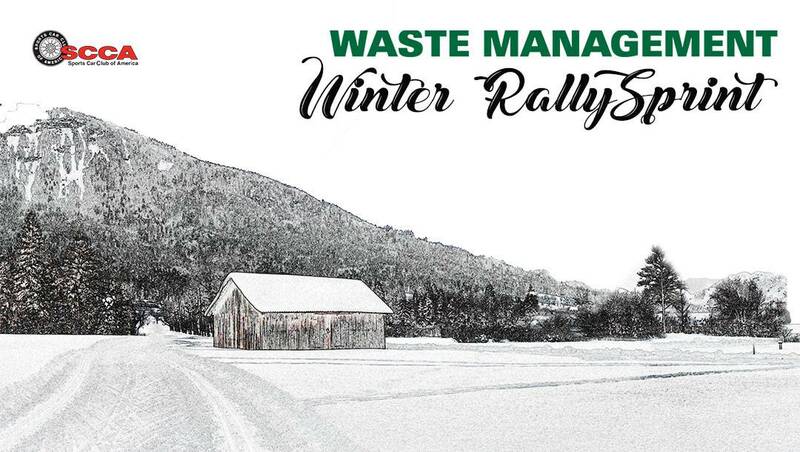 Waste Management came on as the title sponsor in 2012 and the event was renamed the Waste Management Winter Rally. Competition teams consist of a driver, co-driver and crew. The driver pilots the vehicle, while the co-driver is the navigator who reads the course route instructions to the driver, usually through an intercom system. The crew supports the team in the areas of fabrication and development, mechanical repair and maintenance, public relations and marketing, and more. The people who step up to donate their time and talents to assure the event is well planned and executed — from the organizing committee to the clean-up crew. Our event couldn't take place without these dedicated individuals. Volunteering is the best way to not only get up close and personal with the competitors and their cars, but the views cannot be better! North-central Pennsylvania's weather in mid February is unpredictable, so it takes a dedicated motorsports fan to come out and stand in the bitter cold, pouring rain and mud in layers of clothing — or perhaps sunshine and T-shirts — to watch and cheer on their favorite teams. So don't be timid - brave the elements and come out for some of the best outdoor fun! Waste Management Winter RallySprint, © 2011-2019. Webmaster, Maryanne Shults / wmrally@gmail.com.